Huey Magoo’s continues widespread expansion with the grand opening of its newest restaurant in the Hunt Club sector of Apopka, Huey Magoo’s CEO and President Andy Howard announces today. The 2,300 square foot restaurant, which includes an additional 800 square feet of covered patio, is owned by Huey Magoo’s Co-Founders and Franchisees Matt Armstrong and Thad Hudgens, along with Managing Partner Bill Weld. Hunt Club marks 15 years of Huey Magoo’s operations in Central Florida for local entrepreneurs Armstrong and Hudgens, who also own stores in Altamonte Springs, Winter Springs and Ocoee opening later this year. Hunt Club will feature the newest and most unique design elements for the beloved brand, including easy flow for both dine-in and pick-up guests, custom lighting, antique wood, vaulted ceilings, architectural soffits and Huey Magoo’s signature branding and marketing wall, while serving up the same award-winning, fresh and delicious chicken tenders and family-friendly atmosphere that Huey Magoo’s is celebrated for. Huey Magoo’s continues to operate successful restaurants in Altamonte Springs, Oviedo, Winter Springs, Lake Mary, Orlando (Dr. Phillips, Millenia) and the UCF Student Union, with additional new franchise locations to open this year in Central Florida (ChampionsGate), Daytona Beach, South Florida (Sunrise), Atlanta (Loganville). Many more locations are in development, and the rapidly expanding brand continues to commence franchise sales throughout the city, state, and country. Guests dining at Huey Magoo’s can enjoy grilled, hand-breaded or “sauced” premium chicken tenders, farm fresh salads, sandwiches, and wraps, available as individual meals, meals for two and family-sized options making it the ideal place for a casual lunch or group dinner. Each tender is always fresh, all natural and made with no hormones, no steroids, and no preservatives. Enjoy Huey Magoo’s Chicken Tenders now open at 446 S. Hunt Club Boulevard, Apopka, FL 32703. Hours of operation are 11am-9pm Sunday through Thursday, 11am-10pm Friday and Saturday. For more information on Huey Magoo’s, visit www.hueymagoos.com, or call 407-755-5300 for the Hunt location. For franchising information, contact Andy Howard at 214-293-1564 or andy@hueymagoos.com. Huey Magoo’s was founded in 2004 by Matt Armstrong and Thad Hudgens, two southern boys with a passion for quality chicken and a penchant for serving others. Voted “Best Fried Chicken” and “Best of the Best Chicken Tenders”, Huey Magoo’s is rapidly expanding throughout the Southeast with multiple locations in the Greater Orlando area and coming soon to South Florida and Atlanta. Huey Magoo’s prides itself on providing fresh and tasty chicken tenders in a clean, family-friendly environment while showing their love for people. 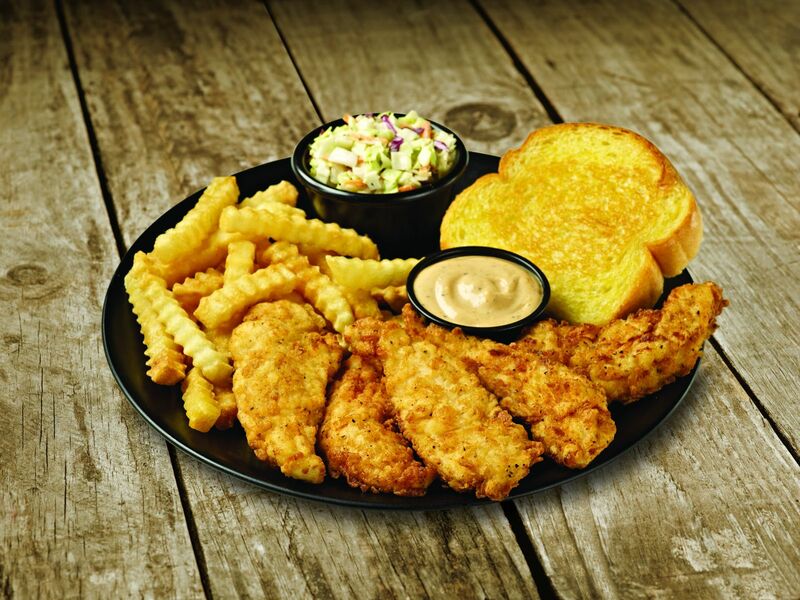 Huey Magoo’s delivers delicious, fresh, cooked-to-order chicken tenders, and they do it to perfection. Huey Magoo’s also gives back a portion of profits to not-for-profit organizations and community groups. Committed to building a culture of excellence in service and food quality by serving only premium hand-breaded or grilled chicken tenders dipped or “sauced” in uniquely flavorful signature sauces, Huey Magoo’s attracts a cult-like following of Millennials, families and neighboring businesses desiring quality, delicious food at reasonable prices. I will have to try the food as it looks like it is tasty. I had not heard of this place before this article.